Staying in a lighthouse is one of the experiences that everyone looks forward to. 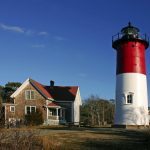 At the Wings Neck Lighthouse, you get a historic, charming, and unique environment. In addition to that, you will have access to all the convenience that make a vacation great. Whether you are thinking about ocean view or other scenery, you will find them. 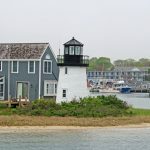 This tower was built in 1849, and was meant to control the heavy marine traffic that was traveling in Buzzards Bay, Port Wareham, and Sandwich. It is located on two acres of land that has deeded rights to a private beach. It assumed its real importance for several years after the Cape Cod canal was opened in 1914. 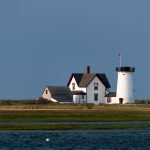 The first lighthouse at Wings Neck was a typical Cape Cod designed light keepers house that has a lantern placed at the top. 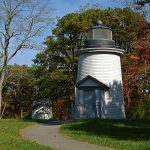 When there was a fire damage and other effects of general disrepair in 1889, it prompted the construction of a new lighthouse. That is the reason why the current keeper’s house, which consists of wooden hexagon towers, was built to replace the initial one. This was always seen as one of the most important lighthouses in the Atlantic for many years. This was before newer technology was adopted making some of the traditional functions obsolete. It was later sold by the government in 1947 to Frank and Irene Flanagan. This was their retirement property and they stayed there for long until the death of Irene in 1999. After that, it was renovated in 2003, and it s now available for rent. The property is completely renovated and is therefore available for vacation rentals. 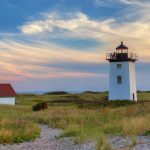 Although it still has the historic appeal that is synonymous with any lighthouse, there are modern aspects that have been Incorporated too. 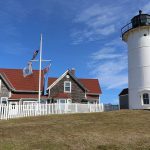 It was previously a US Coast Guard House and today, the light tower is still attached to a keeper’s house through a breezeway. The keeper’s house is a three bedroom house. If you want to see the Atlantic from the lantern room, you can climb a mahogany staircase that is spiral. This is also the perfect opportunity for you to explore all the rocky slopes that surround the lighthouse. The house is located at the tip of Wings Neck Point and that is the reason why it provides the most amazing views of the Atlantic Ocean. 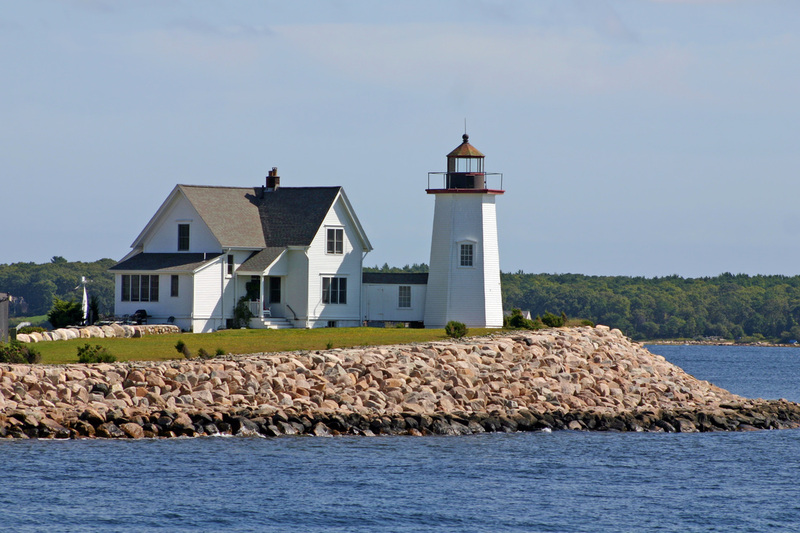 The vistas that are located a few feet off the waters are a true reflection of the traditions of New England. Most guests love exploring the rocks that form part of the entrance to the house. When you walk through the doors of the lighthouse, you easily will notice that there is a lot of space for almost anything. The first floor plays host to a living room that is also attached to a very large eat-in kitchen. The Fieldstone fireplace makes it even better. It is the kind of space that reminds you of the large home that you have always wanted to own. In the kitchen, you also will find a large center island that has a breakfast bar. You also will like the fact that there is a comfortable family room that has twin sofas, a TV entertainment center, and sleeping accommodations that can accommodate eight people. The three downstairs bedrooms in the house provide for more room. There is a private gate that makes the property only accessible by residents and their guests. Because of this, there also is a private beach that can only be accessed by residents. What makes the house even better is that regardless of the room that you are in, you can get a spectacular view of the waters through every window. You also can see some unusual and interesting vistas of shipping every day thanks to the proximity to Cape Cod Canal. A rare view of the sunset can be enjoyed every evening because the property faces west. And after that, you can enjoy the early nights as you watch the waters too. It is the serenity, beauty and peace the lighthouse offers that have helped to make it even more popular. Although there is a private beach for residents, it should not make you to think that there are no other beaches. Within a short drive, you will find many other beaches that are worth visiting. 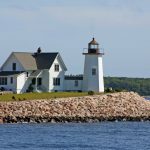 For example, there is a small town called Pocasset that is only three miles away. Apart from finding beaches there, you also will find amazing restaurants as well as convenience stores. 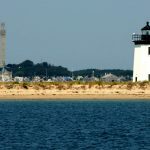 More excitement that is always associated with Cape Cod beaches can also be found in Falmouth and Sandwich. 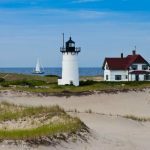 You can also enjoy a ferry ride to Nantucket and Martha’s Vineyard. There, you will find lots of sights to see as well. The minimum rental period for anyone who wants to stay at this lighthouse is one week. This usually begin on Saturday afternoon and end the following Saturday morning. However, you can also find occasional long weekend accommodation especially during the off-season. As for the amenities, you have access to almost anything that you would get while at home, and even more. Cable TV is available as well as wireless internet. You can play your videos from a DVD player and two TV sets. In addition to that, you have a coffee maker, fridge, microwave, lobster pot, bikes, hair dryer, lawn chairs, beach toys, toasters and beach towels. The bathrooms are amazing too. Upstairs, you will find a full bathroom with a tub. The half bathroom downstairs has a washer and dryer. There also is an outdoor shower to give you than vacation feeling. Small functions are allowed at the lighthouse with a maximum of 40 attendees, and this is done under specific guidelines. You however need to contact the management before planning for this. 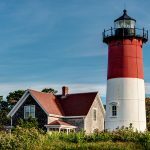 For any guests that wants to rent the Wings Neck Lighthouse, it is important to note that the keeper’s house, which is attachment to the lighthouse, is where you will be staying. into and out of Buzzard’s Bay. to replace the Wings Neck Lighthouse. and you should respect the owner’s privacy. Follow this road, turning right onto Wings Neck Road.